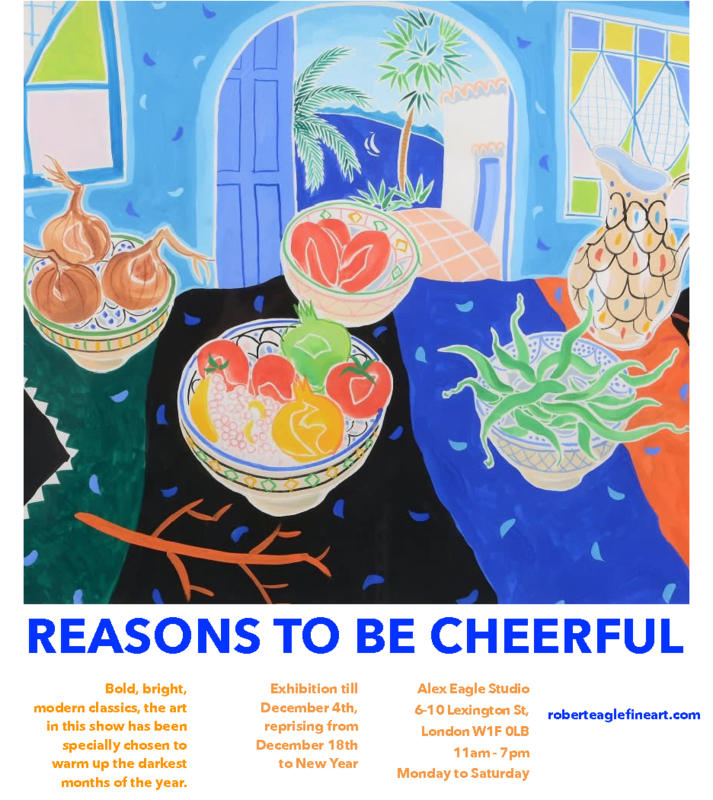 Our winter show, Reasons to be Cheerful continues at 6 – 10 Lexington Street, W1 till January 26th. Specially chosen to warm up the darkest months of the year, this collection is curated to be bold, bright and modern. With a range of prices to suit every pocket and a completely original mix of contemporary and 20th century works, it’s a unique chance to pick up prints and original artworks for yourself, friends and family. With works by Nicholas Hely-Hutchinson, John Pawle, Inge Clayton, Sandra Blow, Barry Flanagan, Jack Yates and Alan Reynolds, this exhibition celebrates the bold, the bright, and the beautiful. The exhibition is being held in the new downstairs gallery at Alex Eagle Studio, 6 – 10 Lexington Street, London W1F 7BE.